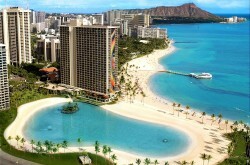 Fond Du Lac, Wisconsin lies at the foot of Lake Winnebago in the northeastern area of the state of Wisconsin. 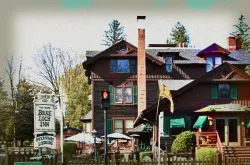 Founded in 1852, the area is a prime piece of vacation area for visitors to go and enjoy Lake Winnebago. 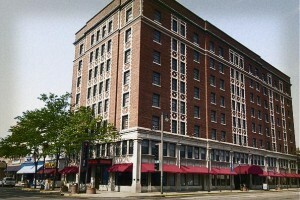 However one of the oldest storied hotels in Fond Du Lac is also the most haunted, and that’s the Retlaw Plaza. 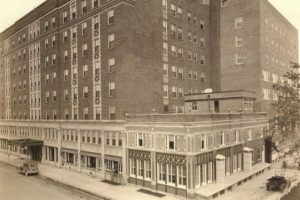 Is the Retlaw Plaza Hotel Haunted? Constructed in 1878, the eight-story Retlaw was originally a product of the Schroeder Hotel Company and it was made with all the most expensive and lavish furnishings at the time by Walter Schroeder himself. Throughout the many decades, the Retlaw was sold and resold, changing many names in the lengthy process including the more modern hotel brands of Clarion and Ramada. Despite all the changes, the Retlaw never lots its draw and in 1984 actually became listed on the National Register of Historic Places. 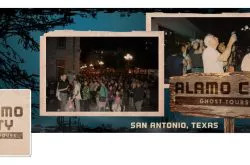 But despite all of the accomplishments and longevity, there has been documented paranormal activity cited here. 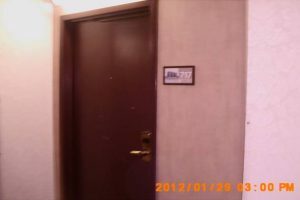 The most haunted room in the entire building is #717. 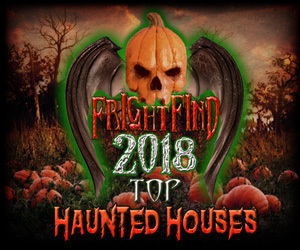 Loud banging sounds on the door of the room, drastically cold temperatures, the door mysteriously closes and locks, lights going on and off, scratching sounds, minor assaults to guests, and cries for help from the voice of an unseen woman. Only rarely has a spirit been seen in the room, and she is described as pale with red hair and a sad expression to her face. 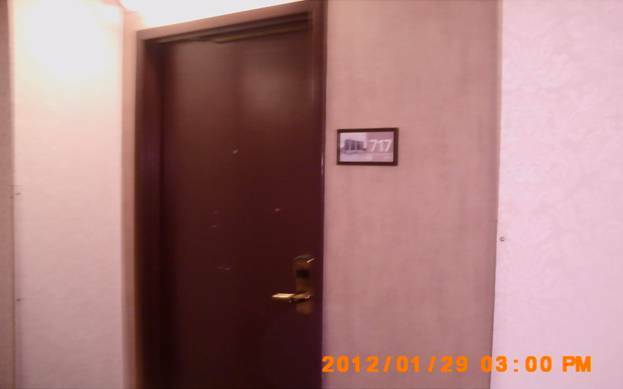 One of the most prevailing theories is that a younger woman had committed suicide by jumping out of the window from room #717. Another similar story, has her being murdered by an unknown aggressor. Either scenario is deeply troubling as it is paranormally clear that her spirit has not left the room area. Another paranormal hotspot within the Retlaw is the ballroom. The curved ballroom is lavish with a singular chandelier that hangs overhead. This same chandelier also has been seen swaying by an unseen force by hotel staff. Along with this, an unusually high number of glowing orbs has been seen floating throughout the ballroom at different hours. Recently, a paranormal group conducted an investigation of the haunted claims of the Retlaw Plaza. 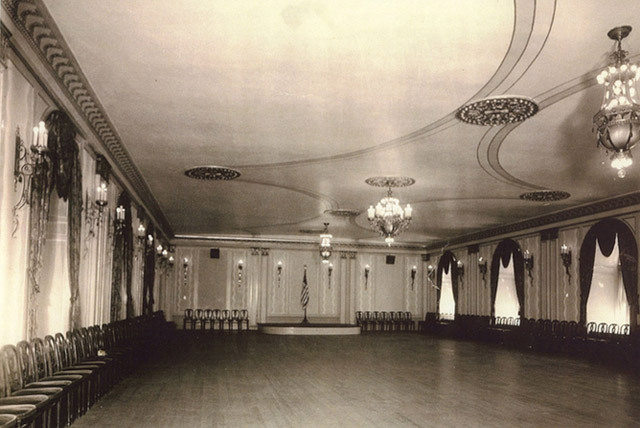 During a particular EVP (electronic voice phenomena) session conducted in the ballroom, the name of “Walter” kept being repeated by an unseen spirit. Is this spirit that of Walter Schroeder, the same man who originally built the Retlaw? 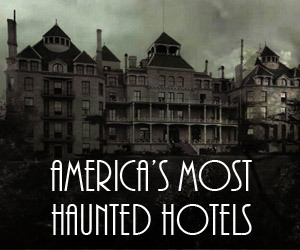 The only conclusion that could be drawn is that he was particularly fond of this hotel when he was alive and appears just as dedicated about its presence all these decades later. Today the Retlaw is undergoing extensive remodeling to better serve all the guests looking to enjoy Fond Du Lac and nearby Lake Winnebago.